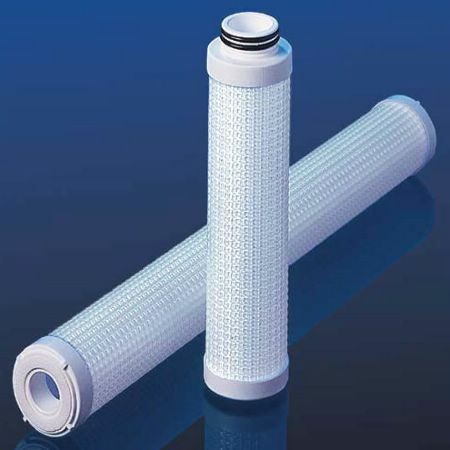 Parker Fulflo® TruBindTM absorbent cartridges utilize a modified polymeric absorbent that economically and effectively reduces trace hydrocarbon contamination in aqueous fluids. The enhanced polymer, configured in a radial-flow-design cartridge, provides maximum utilization of avail-able surface area. This product can be used alone or as an enhancement to other systems. Whether process fluid reclamation or meeting disposal requirements is the goal, TruBind can solve many demanding hydrocarbon-contaminated aqueous fluid problems.